So what are the elements you need when building a new website? 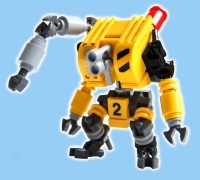 Good design? Copy? Cool logo? Social media integration? All check. You have those. So you launch the thing … and now what? Unfortunately the mere fact of launching your new website is not enough to call the whole undertaking a success. How to check whether or not you’ve worked in vain? 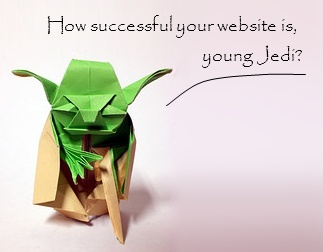 Does your shiny new website achieve any goals and produce any results? A conversion might be specified, for example, as: a click on the “add to cart” button, a new user creating his profile on your website, a new comment on your blog. So let me say it again: it can be any action that you are interested in. Every website is created to achieve some kind of a goal. The goal can and will be different for different websites. New social website’s goal will probably be to attract as many new users as possible. E-commerce shop’s goal can be to sell as much stuff as possible. Simple website for a small mom-and-pop business might have a goal to attract as many new real-world customers as possible. 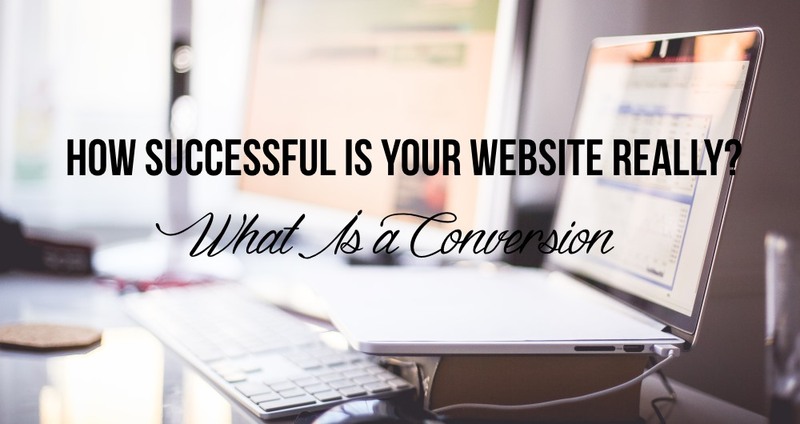 Without specifying what a conversion is for us, we won’t be able to tell whether or not our website achieves its goals in an effective manner. If you have an e-commerce shop and each day you manage to sell 10 products, and that’s all you know when it comes to your performance, then you really know nothing. Looking only at the transfers themselves, you can’t really tell whether 10 sales a day is good or bad. For example: if you have 100 visitors a day then 10 sales is a great result, but if you have 100,000 visitors a day then a great result suddenly becomes a tragic one. You will be able to evaluate your efficiency only if you learn how to track your conversions. The easiest approach is to refer to the main goal of your website. If it was supposed to sell your products then you should specify a conversion to be a single sale of one of your products. If it was supposed to bring new customers to your business then you should specify a conversion to be a new client appearing at your doorstep after seeing your website. And so on. You have to decide for yourself really. Such a sequence gives many possibilities when it comes to measuring efficiency of an e-commerce shop (in this case). Of course, specifying a conversion is just the beginning, the first step. Here’s where the hard part begins. After specifying what a conversion is for you, you need to develop/get some system to track it. The easiest way is to use the tools provided by Google Analytics or Google AdWords. However, sometimes you will have to hire a programmer and develop a so-called tailor-made solution. In theory, the whole thing is rather simple. The only thing you have to do is to measure what is the ratio of the number of visitors who have converted to the total number of visitors on your website. Then, you simply divide one by another, and get your result. As I’ve said before, all of this can be done with just a little help from Google. All you have to do is spend some time in the settings of Analytics or AdWords. Let me just quickly remind you that you’re doing all this so you can improve the results of your website, and make it achieve its goals more efficiently. Once you have any data regarding your conversion rate, you will be able to start introducing some changes, and carefully observe what impact they have on your results. For example, one of the well-known facts in internet marketing (and one of the most surprising at the same time) is that a website’s headline has a major impact on its conversion rate. You can check this for yourself once you have your own conversion tracking set up. You can do such tests by setting up a basic headline, leave it for a while, and then come back and check what the conversion rate of the site was. In the next step you change the headline to something different, leave it for a while again, and then come back and check what the conversion rate was. After such a test, you can compare conversion rates for both headlines and say which one was better. Tracking conversion rates gives you really big opportunities for improving your website and your business. With such a simple mechanism you can easily make more money without any additional investments… or like others like to call it – you won’t be leaving money on the table any more. Do you have any examples from your own experience how conversion tracking has helped your results? What was the improvement in your case?